Talent of the Telepath w/ Spell Mastery? 4 spells? Painlands! Painlands are great. Enemy painlands are nice and cheap, so pick up a Yavimaya Coast and a Shivan Reef! Hand Lands also end up useful, but only early on. If you feel like spending a bit extra, pick up a Rootbound Crag and a Hinterland Harbor. 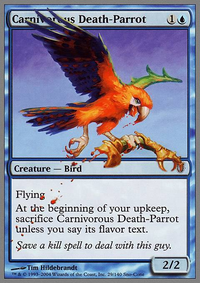 Charisma looks like fun here, and Temur Charm gives you a nice toolbox. As for sac outlets, I can't recommend Ashnod's Altar enough, but it's a tad pricey so you should definitely save up before spending money on it. Spawning Pit and High Market are great too! Detection Tower might be important against builds like Sigarda, Heron's Grace if you need Yasova to get through, and Talent of the Telepath fits the gameplan p well. Sry for the pricey cards, I just felt like a good upgrade path was important here, don't rush to get these! Promotheus I enjoy the thought of Memory Plunder. I will consider it for the sideboard. Jace's Phantasm is an amazing card. Right now I'm testing a few things to see if I'm better without it. Talent of the Telepath is something I have considered as well. The Mana cost is the only thing keeping me away. Fetch and Shock lands (in your case Polluted Delta, Marsh Flats, Flooded Strand and Watery Grave) are always a good choice, so why don't you add them? Then, remember you have Archive Trap, so you should find a way to make your opponent search his library, maybe Ghost Quarter or Field of Ruin? 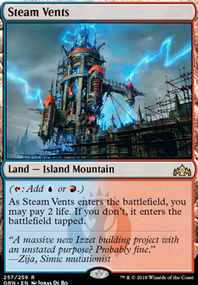 25 lands are too much, you need to be very fast or your opponent will kill you first! You need something that let's you draw, so why not Visions of Beyond or, also, a less powerfull Opt or Serum Visions? Consuming Aberration is too slow and too easy to destroy in my opinion. How about Nemesis of Reason? Glimpse the Unthinkable also seems like a solid addition. 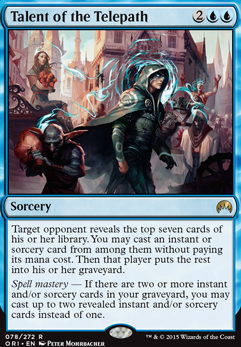 Also, I've enjoyed playing Talent of the Telepath very much in my mill deck. I usually try to combo out as soon as possible when I cast it, taking extra turns, gaining mana to cast more spells, and drawing more cards. The goal is to avoid giving my opponents the chance to use it against me. My current deck doesn't currently run Teferi, Mage of Zhalfir or Grand Abolisher to lock my opponents, but I do runNarset Transcendent and Teferi's Protection. Also, it is the reason I am running Talent of the Telepath. Potentially, it could mill out an opponent on its own by finding enough spells to recast it again and again. 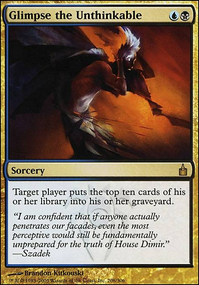 An alternative, and known combo I am not using, is Knowledge Exploitation, stealing all the instant and sorcery cards in all opponents libraries. 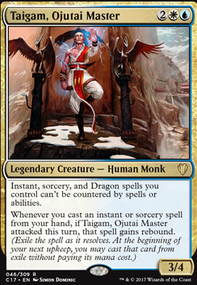 One of my favorite things to do with it is actually to have Metallurgic Summonings, Monastery Mentor, or Ramos, Dragon Engine and just swing for massive damage. 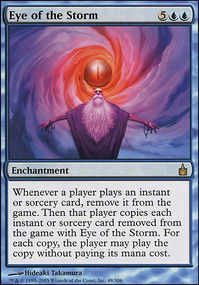 Lastly, one of my wincons is Insidious Dreams -> Maelstrom Wanderer, Eye of the Storm, and whatever spell or spells depending on number of cards discarded will most help you win, usually Karn's Temporal Sundering works well enough. Hope that is enough of an explanation of things.